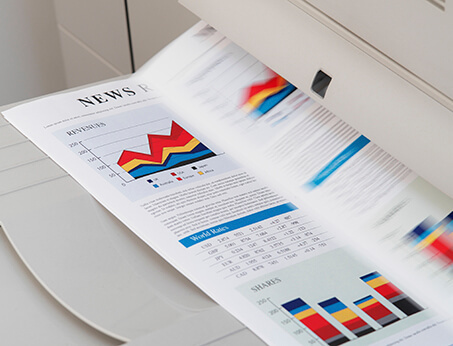 We know how precise your legal copying and scanning needs to be. For the best copy documents in Denver, please call upon ABC Reprographics to help you. We will create copies that look good, so you can look good. In addition, we scan documents for Denver businesses and organizations that come from a hard copy that look just like the original. In addition, ABC Reprographics provides competitive rates on single sheets if you just need a simple blank signature form. In addition, you can have your signed forms reproduced in both digital and paper forms. Our experienced, caring and knowledgeable staff will take care of all of this for you by your deadline. We also make color or black and white copies of all kinds. For instance, we can scan documents of your medical records, birth certificates or other vital information required for identity verification. Our dedicated staff will also design, print and copy legal documents in Denver for employers or government entities. In the process, we make sure all documents have the professional look required by commercial or non-profit organizations. Use our legal copying services in Denver to ensure that your contact stays protected from damage. We will also assist you with creating backups, and we will generate custom forms for any purpose. For example, maybe you need a real estate or rental lease. Email us or call us today, and we can help you produce the appropriate form for your legal copying in Denver.